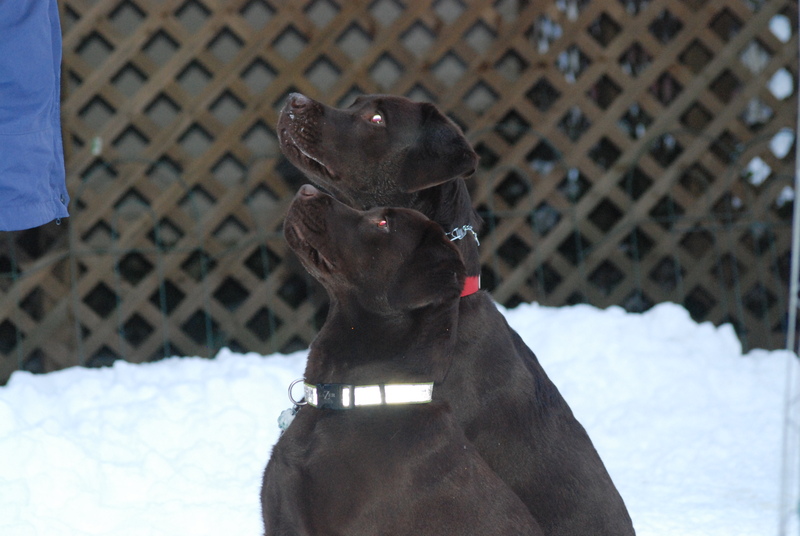 This entry was posted in Activities, Love and tagged animals, Chocolate Lab, dog, exercise, friends, happiness, love, Morrie Schwartz, youth. I am mystified! I thought I was following your blog but just checked and had to press follow again! I wanted to give out love for this post. Thank you. Awww, thx so much Ann. I’m so glad that you enjoyed it…. 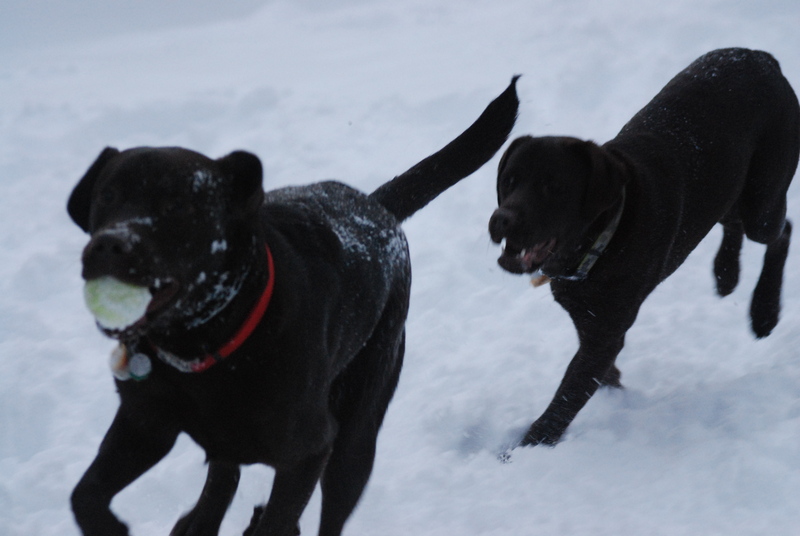 What is the novelty of the snow that makes them frolic so? I’m not sure, but they do love it. 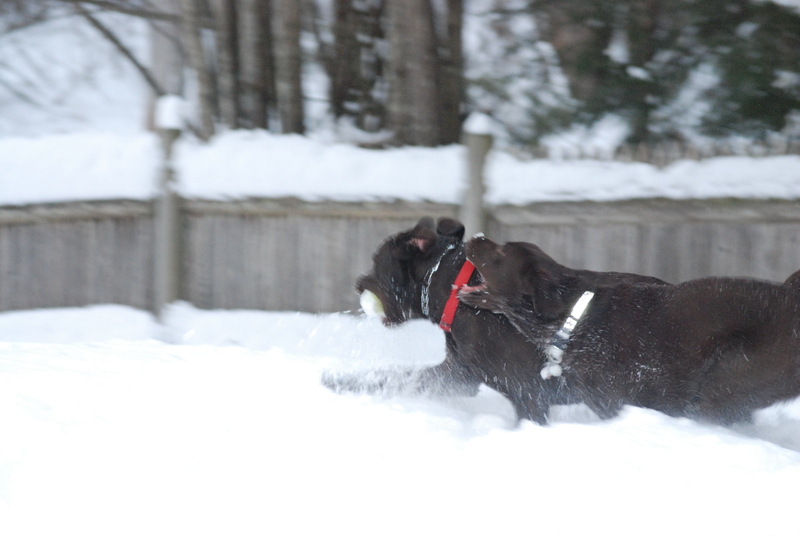 It’s snowing hard here right now and Beau has been out tearing around like a madman! ;-). Thx for stopping by my blog! Your photos capture true joy. What a wonderful way to begin Valentine’s Day! Oh, thanks so much Susan! I really love and enjoy my ‘four-footed crew’ immensely–glad that comes through in the photos…. Thank you for the fun post and photos! You’re so welcome, Russ! Thank *you* for your continued support!! Aw Lori….sooooo cute! Good action photography! OMG. Let the romance bloom. Love the shots! Aahh… so you will have to be satisfied with second place now? Thx Julie. 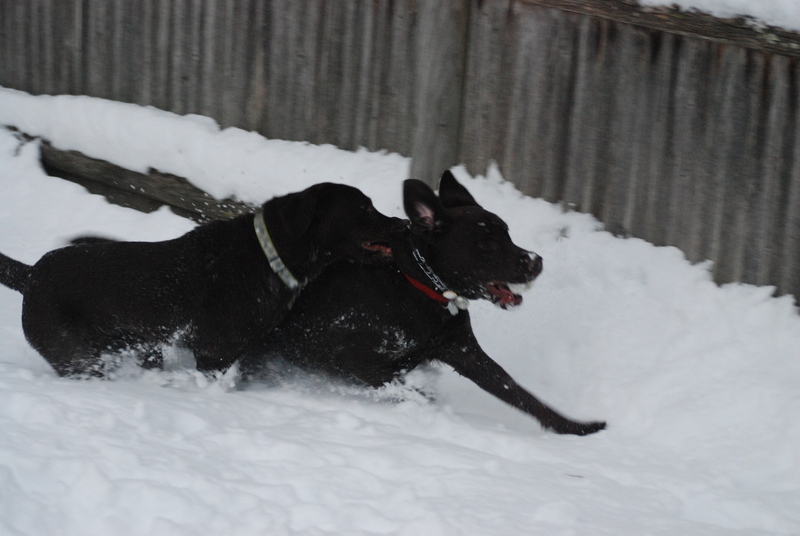 It is fun to witness their unmitigated joy at just running and playing together. So men love chocolate too?? What wonderful taste he has! I have to agree with the above comment however, just like we all know, a girlfriend is amazing but mom is where love began. I really want you to visit the coast this year! ALL of you! You know I love the dogs and the photos so cool. But I also am drawn to the quote. Once again, our hounds have something to teach us. I know that I lived a lot of my life moving away from others when it felt too real. But to be open, ready to make yourself vulnerable, to accept love is such a great thing. It should be a natural thing but us humans often seem to go astray- not like our buddies on four legs. You’re right, Tom, opening oneself to love can be very, very scary, for the closer you allow someone to get, the better they know you, the more they can hurt you. But sharing real love with another is so fulfilling that I believe it’s worth the risk. I wish that joy and reward for you…. And that Mimi, she can be such a sap. Moi? A sap??? Sigh..yes, absolutely.